Retain the integrity of your historic home with a ductless heating and cooling solution from Mitsubishi, the worldwide leader in ductless technology. 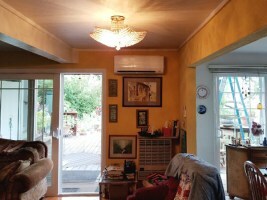 Mitsubishi ductless solutions enable you to modernize this critical home operating system and eliminate hot and cold spots for good, all while preserving the historic charm and beauty of the structure. Serving Tuolumne and Calaveras Counties. Mitsubishi Electric brings unmatched energy efficiency, performance and control to home cooling and heating. It’s never been easier to keep everyone in your house comfortable, without spending a fortune on your energy bills. Mitsubishi Electric Zoned Comfort Solutions™ are perfect for any situation, from a hot or cold room to a whole-home renovation. These systems give you more control over the temperatures in your home, and do it better than central air.